Small by Design! In the era of big chain agencies, Downing Real Estate believes being independent and local serves you! You and your property are our priority rather than lost on a franchise laundry list begging for attention. Flexible, creative, knowledgeable, nimble, with warm personal service; qualities that make Downing the best option for you. 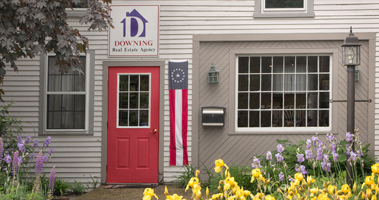 Downing Real Estate is the most respected agency in Southern Maine. Our agency is the real estate cornerstone in Kennebunk, Kennebunkport, Arundel and surrounding communities. We are proud to have served our community longer than any other agency in York county. Downing Real Estate agents have in-depth knowledge of our unique area of seacoast Maine and surrounding communities.